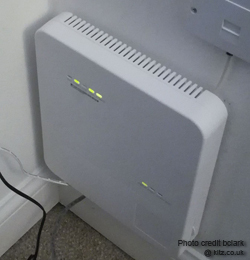 BT are currently rolling out their fibre access network throughout the UK. This page gives an overview of FTTP fibre optic broadband and how it works. What speed will I get with FTTP? 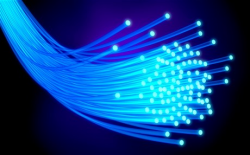 ~ What is FTTP (Fibre to the Premises) Broadband? FTTP is a true fibre Internet service. With FTTP your internet service is delivered over fibre optic cable all the way between your home and the exchange. 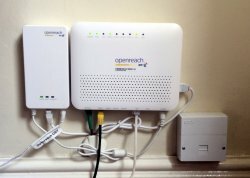 Unlike ADSL/VDSL/FTTC, your 'broadband' connection isn't presented over the telephony copper pair at all. Therefore FTTP isn't subject to the usual DSL attenuation loop loss that gets worse the further away from the exchange you are. Technically speaking FTTP isn't broadband. Broadband describes a service where data is transmitted over a wire cable, with the ability to transmit signals over a multiple (broad) band of spectrum channels. Cable, adsl and vdsl are types of broadband. FTTP may also be referred to as FTTH - Fibre to the Home. 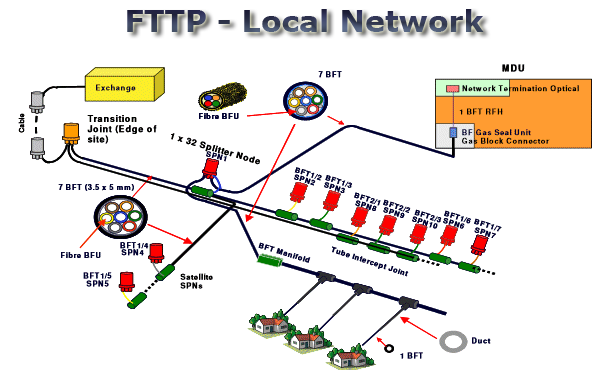 ~ How does FTTP (Fibre to the Premises) work? ~ How fast is FTTP & what speed will I get? The current maximum speed via BT Openreach FTTP is 330/30 which is 330Mb downstream and 30Mbps upstream. The product can be provisioned as 40/2, 40/10, 40/15, 80/20, 100/15, 100/30, 220/20, 330/20 or 330/30. Which products are available to you, will depend upon the backhaul capacity of your local exchange. Other Service Providers may offer different services and speeds. ~ Can I get Fibre Broadband? Roll out of Fibre to the Premises is much slower than FTTC and at the present time is very limited. You can check if FTTP is available in your area from the BTWholesale FTTC checker. Some areas may have a localised service available - such as Gigaclear for rural areas & B4RN in rural Lancashire. CityFibre is building a new infrastructure independent from BT in York which should be available in 2015 via Sky and Talktalk. Although FTTP may not be available to you, some exchanges may already be FTTP enabled and there may be a NGA aggregation node nearby. In cases such as this the BT Wholesale Fibre Checker may show that you can get Fibre on Demand. FTTPoD/Fibre on Demand is when the customer contributes towards the cost of laying fibre optic cable from the nearest NGA aggregation mode to your home. Depending upon your distance from the nearest NGA node , Fibre on Demand could be quite expensive to install. There is a fixed connection fee of £750 plus a distance related fee - See price list which is the wholesale cost before any ISP markup. Fibre on Demand is also subject to a minimum 3yr contract. The customer premise equipment supplied (CPE) by Openreach is a locked down Huawei HG8240 ONT together with a battery backup unit (BBU). More information on the HG8240 is available in burakkucat's post on the forum. 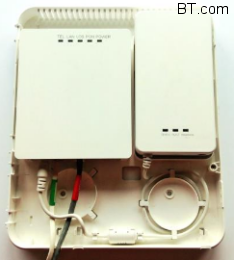 Openreach have recentrly introduced a neater solution which is an outer case to house the ONT & BBU. 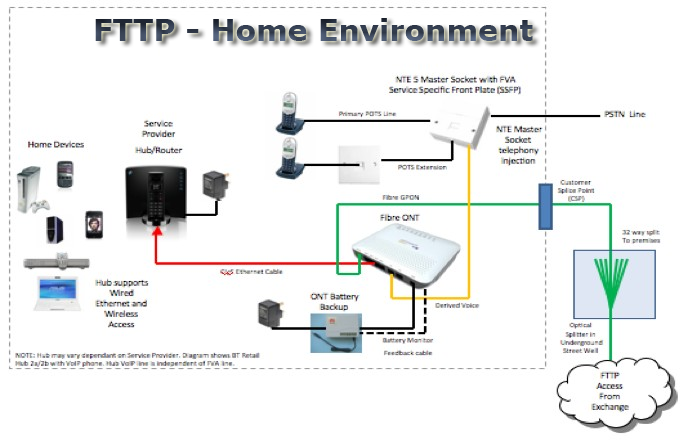 The supplied ONT has 1x GbE interface & 1 voice port.